Last week I received one of the largest artichokes I've ever seen in my life in my order from the Washington's Green Grocer. Luckily, they also linked to a recipe from Tasty that was incredibly easy to follow. 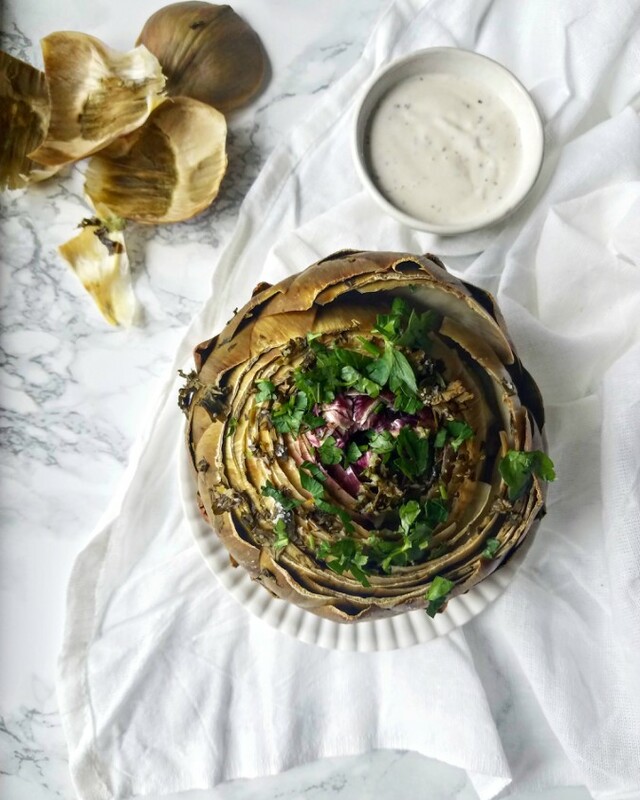 You cut off the top and the bottom of the artichoke, tear off some of the bottom petals, then drizzle the cut side of the artichoke with lemon juice and olive oil, season with salt, top with microplane'd garlic and chopped parsley. I left out the cheese because I did not have it. You then wrap up the artichoke in aluminum foil and roast it for about an hour depending on the size at 425F. I served mine (to myself) topped with freshly chopped parsley and a side of Ranch dressing. I then cut up the artichoke heart and made a salad with it with potatoes, cucumbers and leftover Ranch. 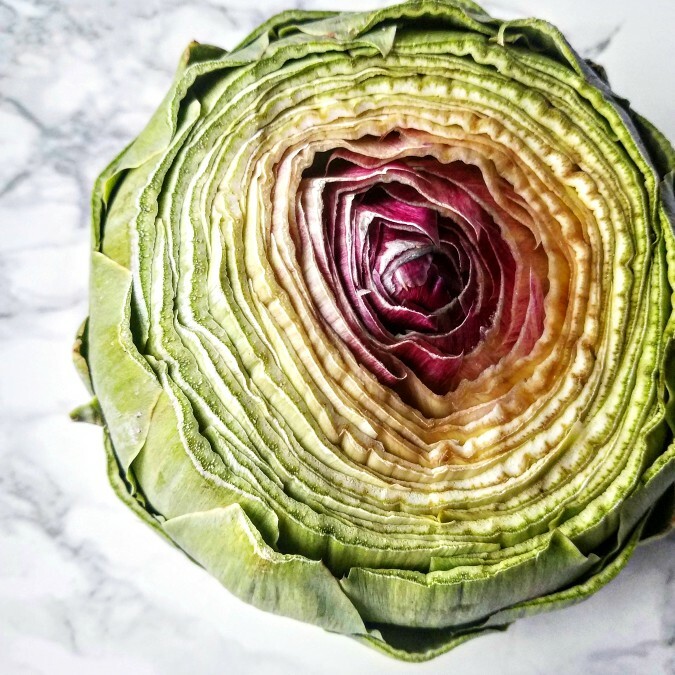 How do YOU usually prepare an artichoke?